Affiliations | Gateway Distribution, Inc.
Not only should the carrier you choose have the necessary experience and qualifications, they should also follow a strict code of ethics. You need to be able to trust that the job will get done to your specifications. 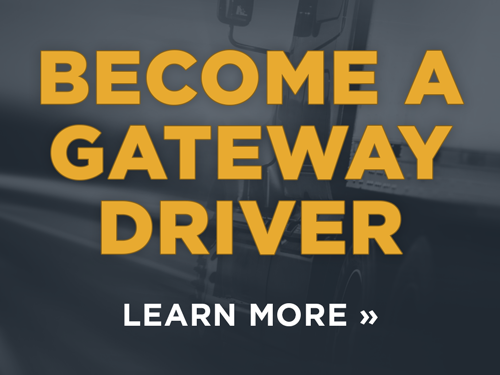 That’s why Gateway is a proud member of several industry associations—all of which have rigorous standards for membership. The Transportation Intermediaries Association (TIA) is the professional organization of the $80 billion third party logistics industry. TIA is the only organization exclusively representing transportation intermediaries of all disciplines doing business in domestic and international commerce. TIA is the voice of transportation intermediaries to shippers, carriers, government officials, and international organizations. TIA is the United States member of the International Federation of Freight Forwarder Associations FIATA. The mission of the American Trucking Association, Inc., is to service and represent the interests of the trucking industry with one united voice: to influence in a positive manner Federal and State governmental actions; to advance the trucking industry’s image, efficiency, competitiveness, and profitability; to provide educational programs and industry research; to promote safety and security on our nation’s highways and among our drivers; and to strive for a healthy business environment. Distributors and Consolidators of America is composed of privately owned, fiscally sound corporations located throughout North America. They offer an infinite variety of transportation and warehousing services. DACA is a ready resource for valuable distribution alternatives. DACA provides flexible, personalized and immediate response to challenging distribution problems. DACA has many years of experience and can effectively design service to meet any requirement. The Cincinnati USA Regional Chamber is the nation’s fifth largest chamber and twice has been named Chamber of the Year. The Chamber serves its growing membership base, exceeding 6,000, by providing economic development, government advocacy, regional vision and collaboration, money-saving benefit programs, leadership and networking opportunities, educational programs and essential information for business growth. The Chamber supports its members and the Cincinnati USA region in pursuit of success in today’s global economy. The Ohio Trucking Association is dedicated to effectively representing the concerns of the trucking industry to industry members, governmental and regulatory bodies, and the general public. OTA is further pledged to assist member companies in managing the impact of change the trucking profession and to enhance the professional and economic growth of its members. The Better Business Bureau enjoys a 98% favorable name recognition rating as reported in a survey from the Gallup Organization. With this level of positive public awareness, it’s clear that membership in your local BBB lets customers and potential customers know that your business is worthy of their trust. A Roper survey also found that potential customers often ask about several similar companies before deciding which one to buy services or products from. Of these, 74% said they prefer doing business with BBB members when they have a choice. 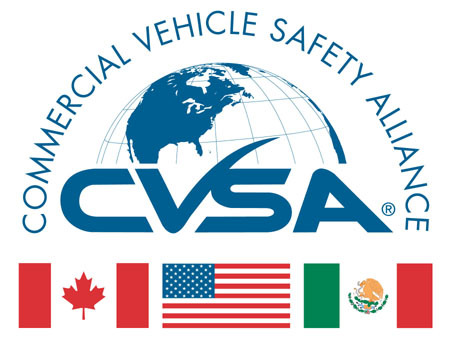 CVSA (Commercial Vehicle Safety Alliance) is an international not-for-profit organization comprised of local, state, provincial, territorial and federal motor carrier safety officials and industry representatives from the United States, Canada, and Mexico. Their mission is to promote commercial motor vehicle safety and security by providing leadership to enforcement, industry and policy makers. CVSA member jurisdictions are represented by various Departments of Transportation, Public Utility and Service Commissions, State Police, Highway Patrols and Ministries of Transport. In addition, CVSA has several hundred associate members who are committed to helping the Alliance achieve its goals; uniformity, compatibility and reciprocity of commercial vehicle inspections, and enforcement activities throughout North America by individuals dedicated to highway safety and security.